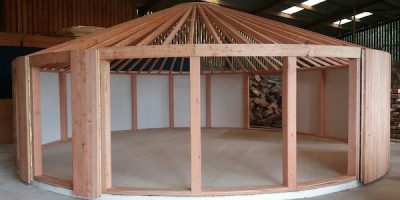 Are you looking for an all season structure? 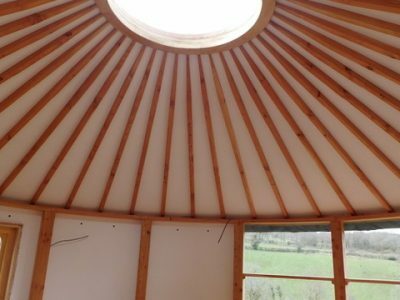 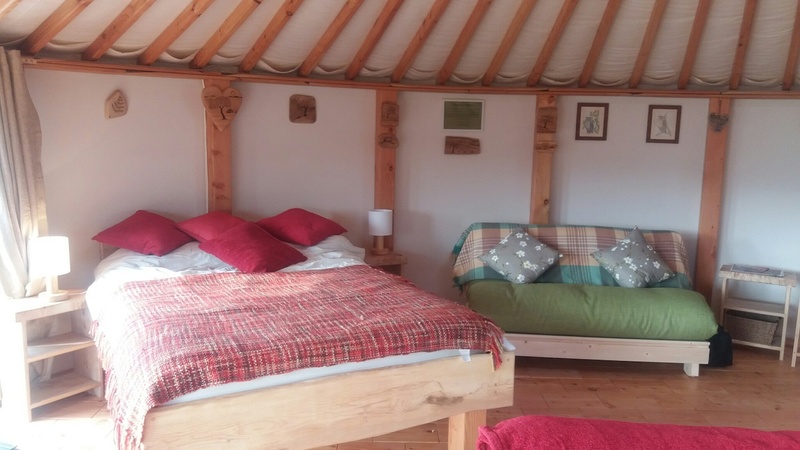 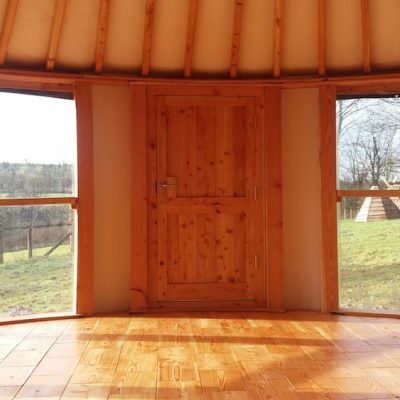 Here at Fron Farm, we have taken yurt building to another level with our bespoke Yurt Roundhouses, which are low maintenance, high quality, custom built and stunning. 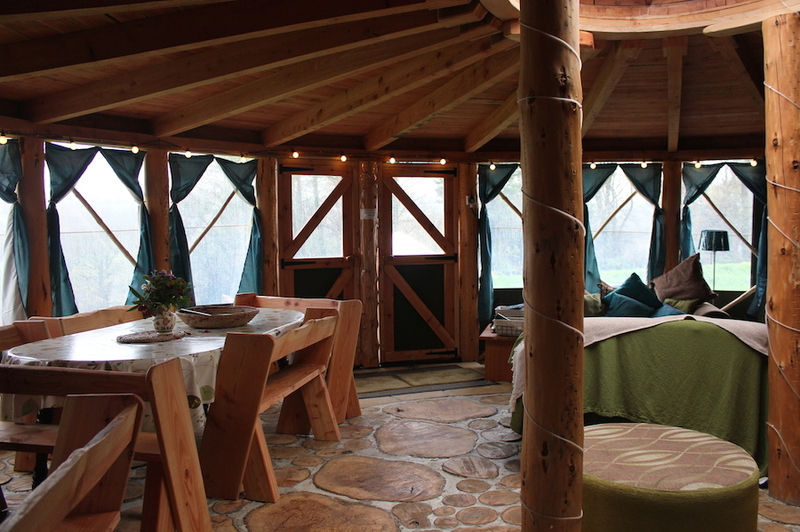 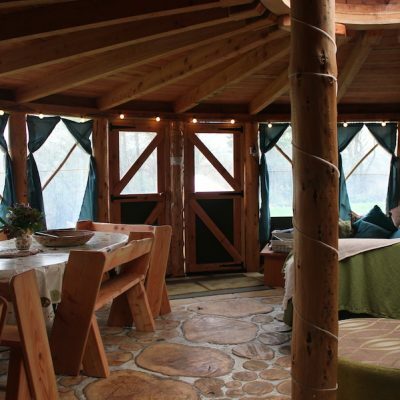 Whether you are looking for a structure with sleek beauty, or a rustic building straight out of the woods, our units are custom built to suit every taste and need. 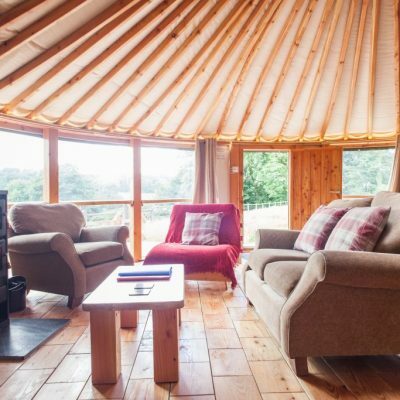 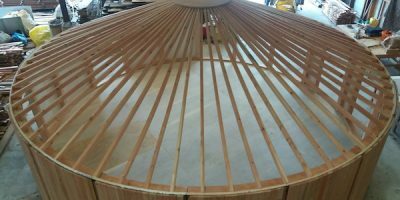 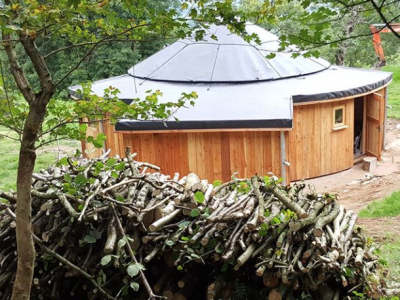 Our new Modular Yurt-Roundhouse is a unique wooden framed structure incorporating the natural beauty and wow factor of a Yurt roof but has the look and feel of a solid permanent structure. 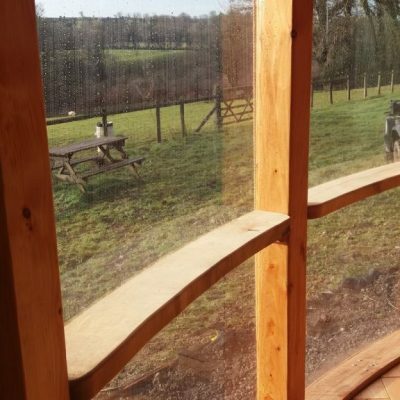 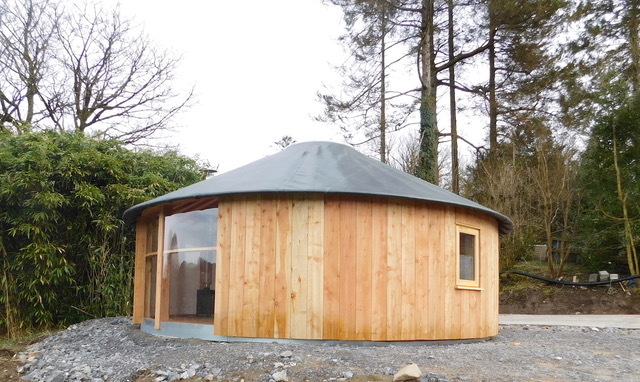 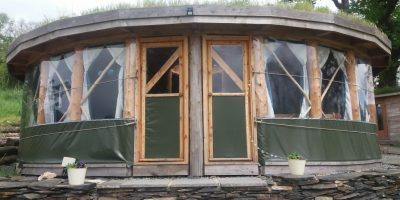 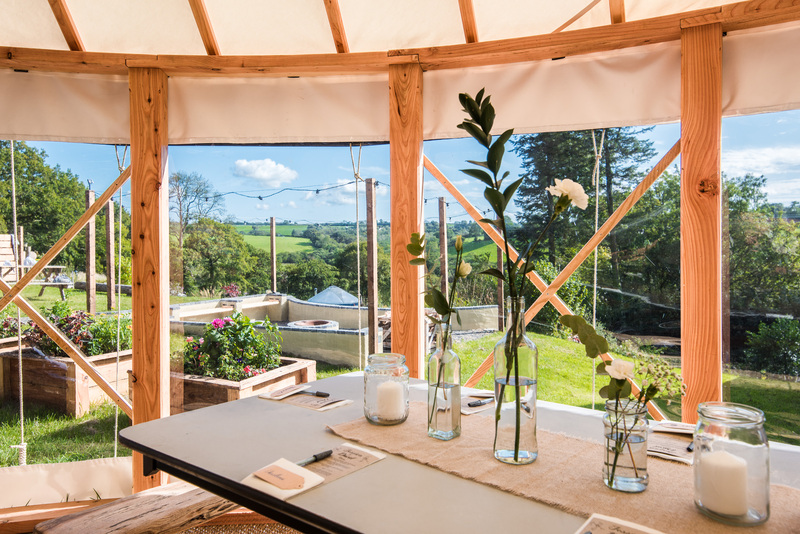 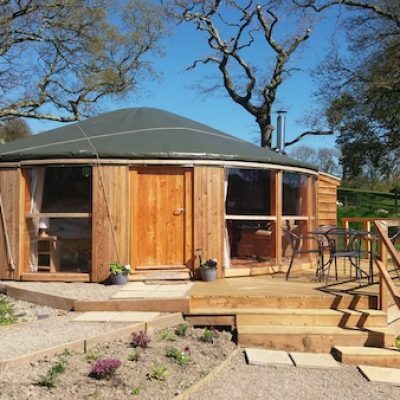 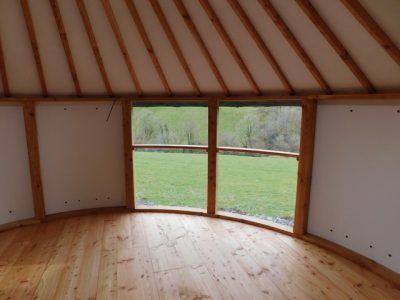 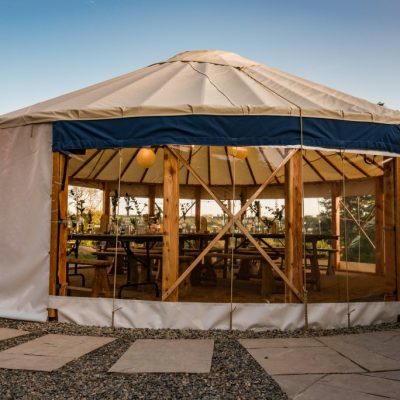 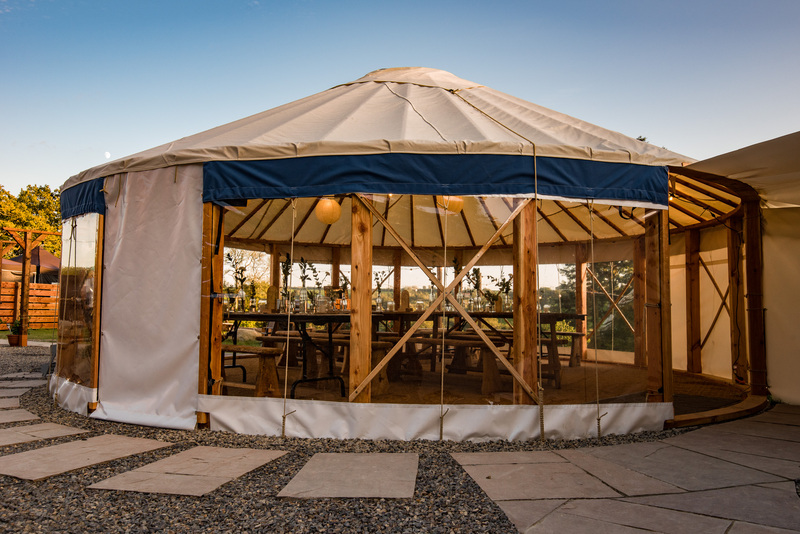 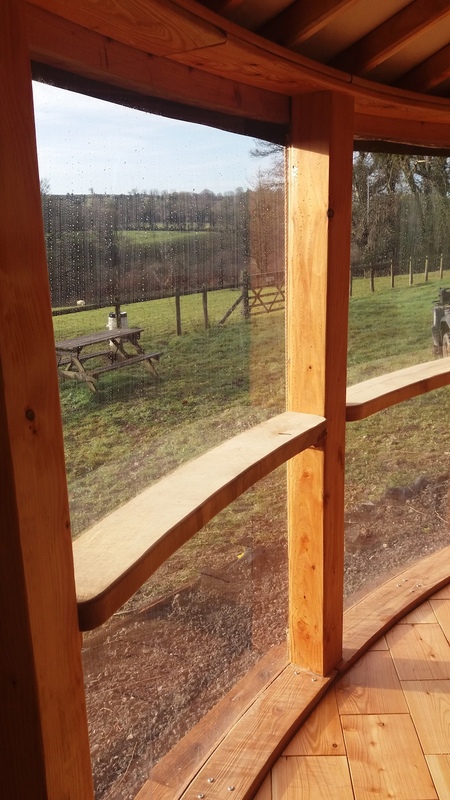 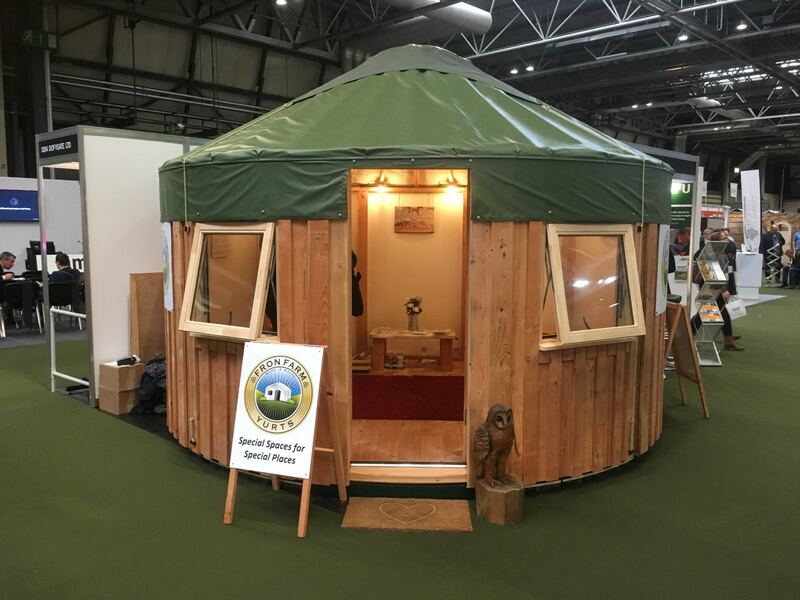 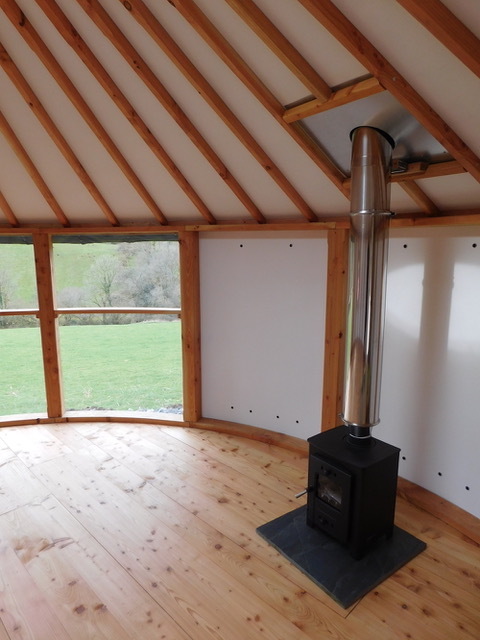 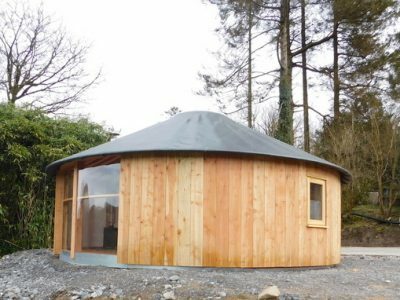 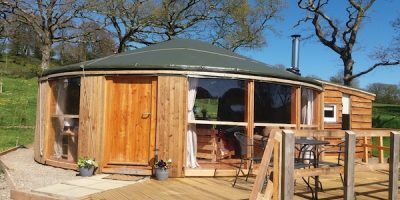 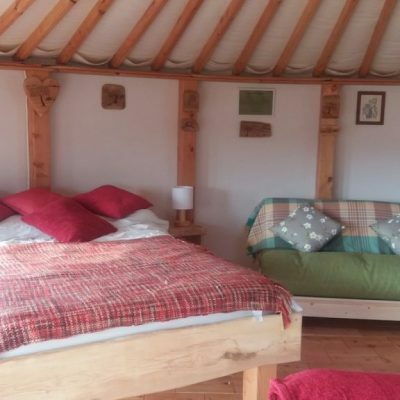 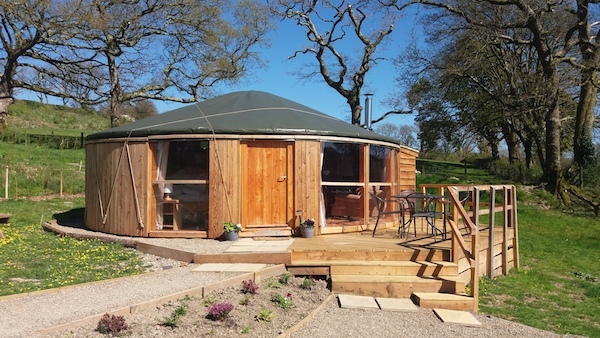 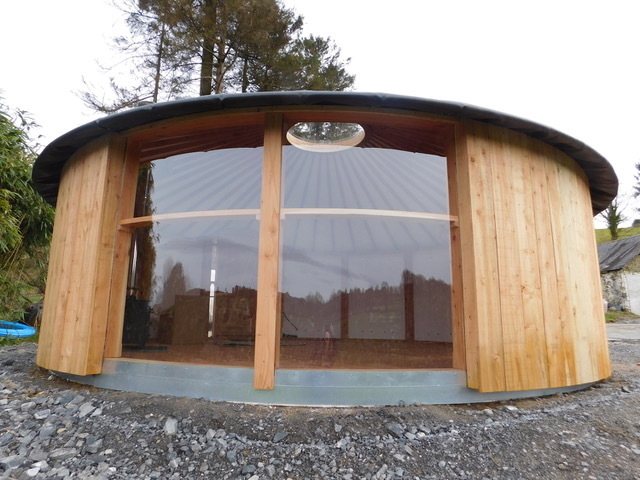 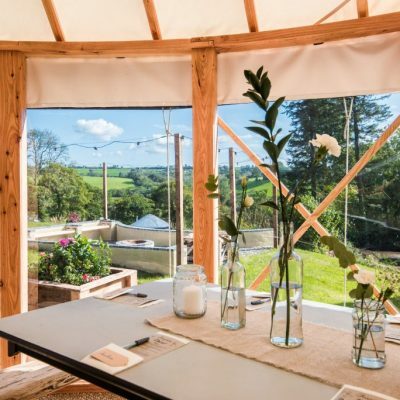 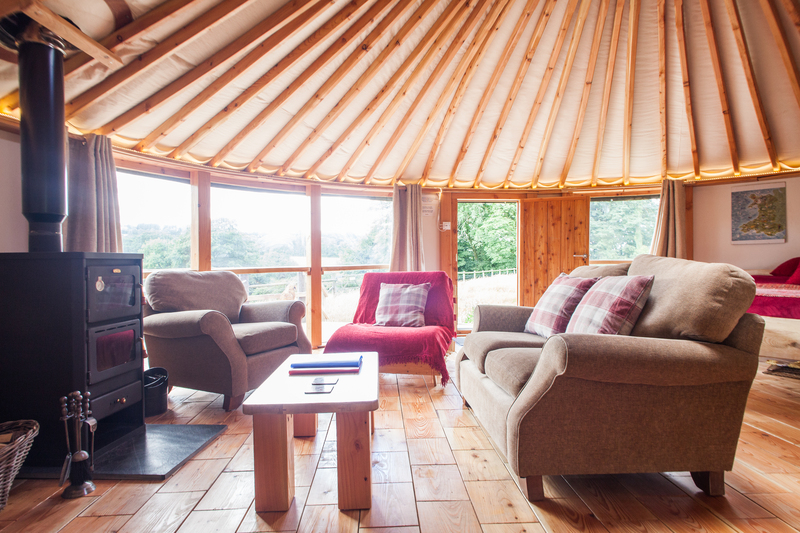 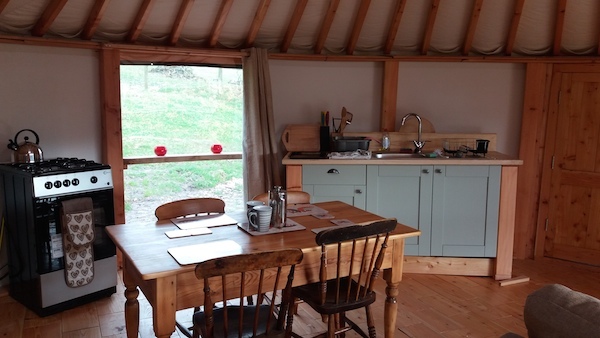 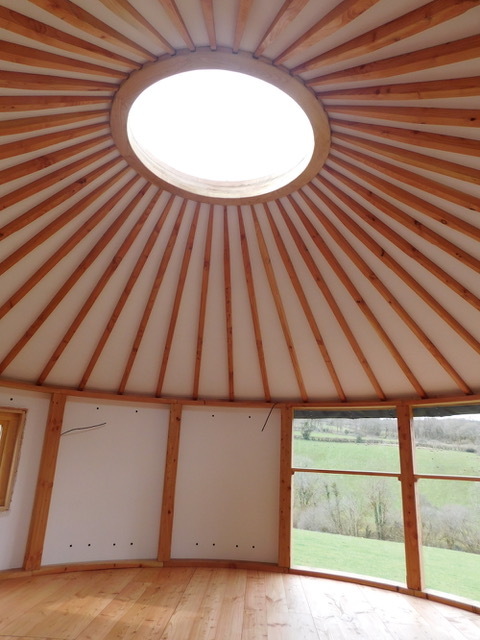 The Yurt-Roundouse is a versatile unit which is suitable for many occasions including glamping or hotel accommodation, studios, galleries, spa rooms, information centres, farm shops etc. 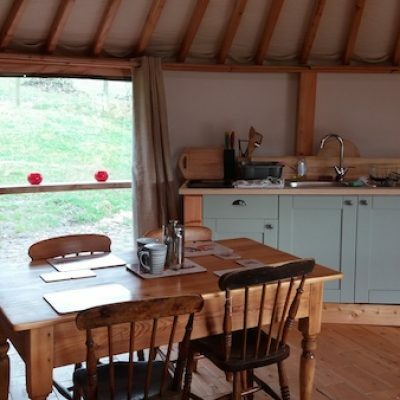 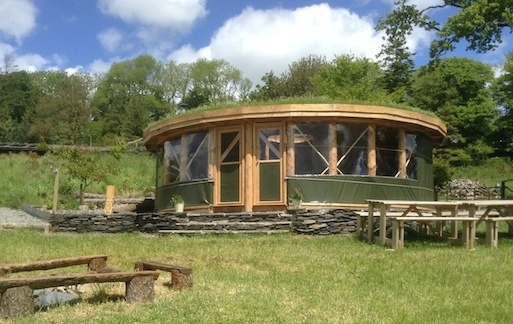 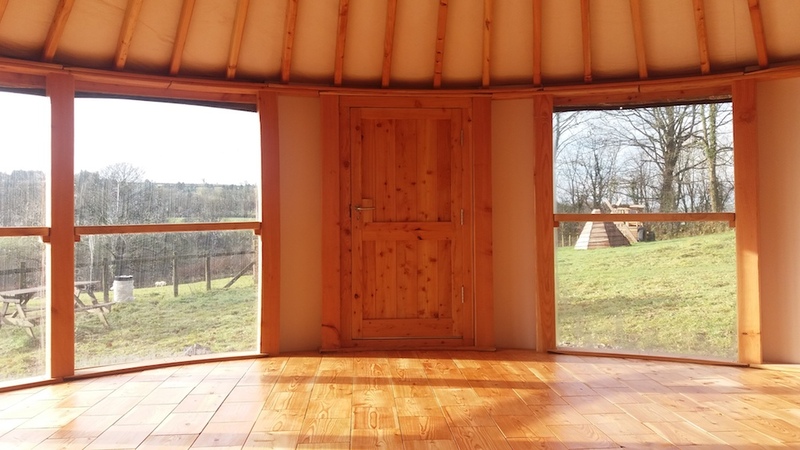 Our Timber Post Roundhouses emulate the beauty and simplicity of a yurt roof wheel, yet the post and beam walls provide a stronger, all year round, long-lasting structure which are stunning in design. 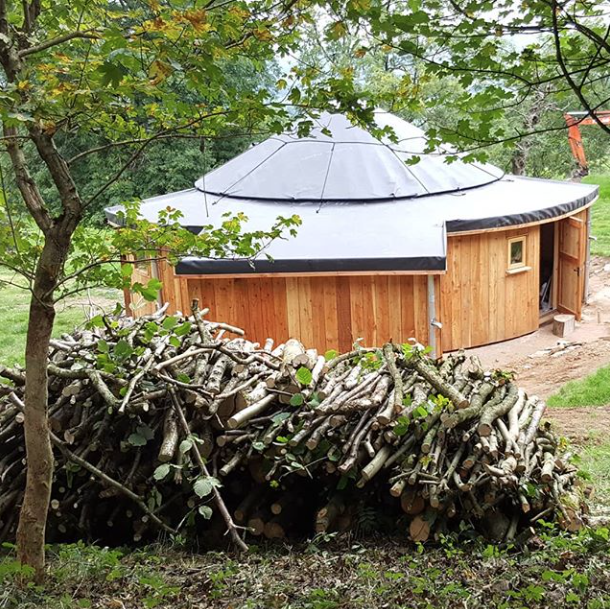 What makes our Roundhouses special? 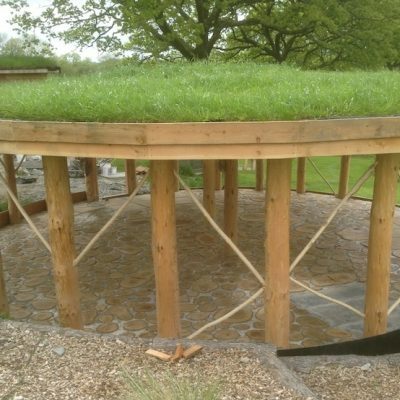 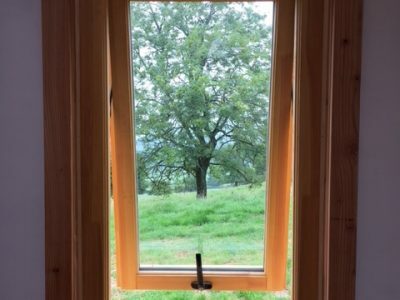 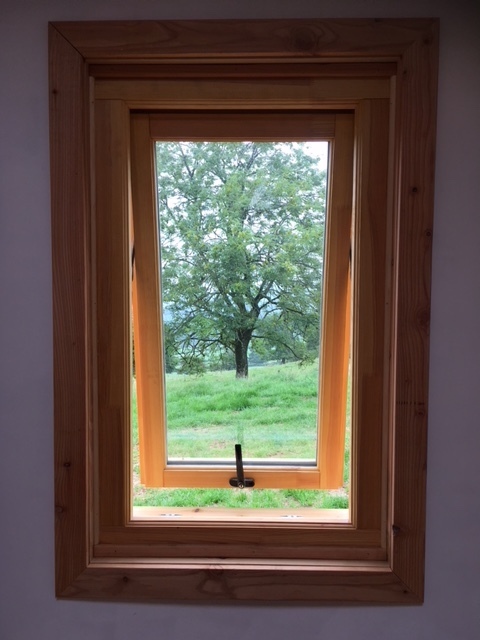 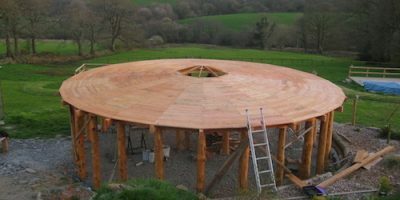 At Fron Farm we have designed our roundhouse structures with a wooden ring beam at the bottom and top of the wall poles, in order to make the structure stable and sound, without having to sit on permanent footings. 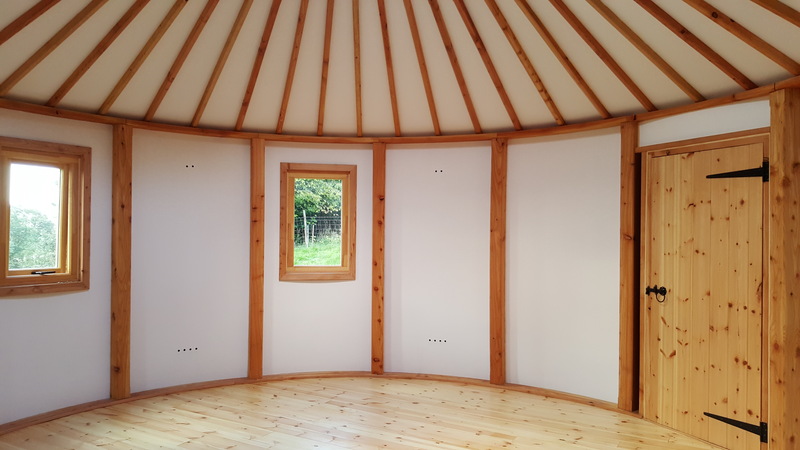 The walls are made from either round posts or sawn and shaped in the workshop to create the look you wish. 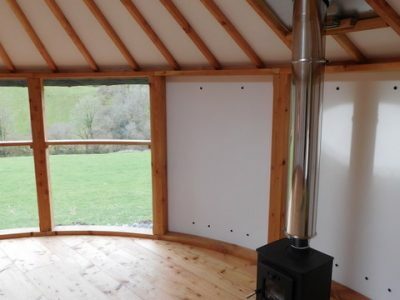 Outside walls can be canvas, tarpaulin or clad in wood depending on customer preference and budget. 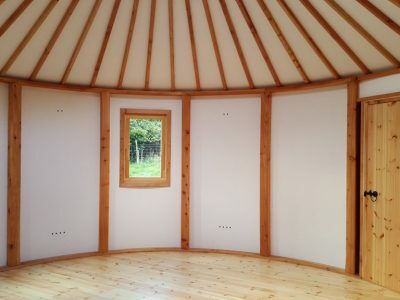 We can also add insulation and coloured canvas. 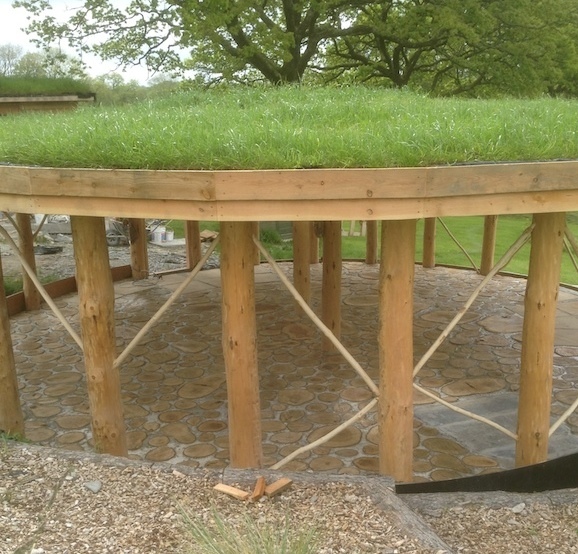 The roofs of our roundhouses take inspiration from the Yurt roof whereby we use a round roof wheel as the centre piece and have poles radiating from the centre. 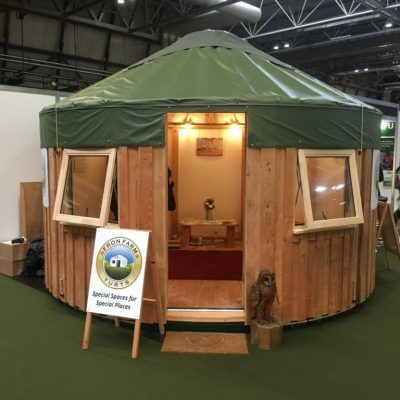 The roof wheel can be clear or covered, and again, the choice of roof covering is canvas, tarpaulin, wood, rubber or even grass turf. 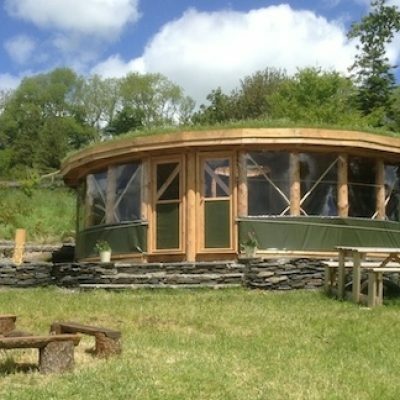 If you dream of owning one of these beautiful structures- get in touch and we’ll happily discuss your ideas.